(TibetanReview.net, Nov22, 2016) – China appears to have too much at stake in Mongolia to be in a position to again punish the country for having allowed the Dalai Lama to visit the country despite its strong objections. Its Global Times newspaper Nov 20 cited pro-government experts as saying Sino-Mongolian relations were likely to chill due to the 14th Dalai Lama’s visit to Mongolia beginning Nov 18 but that economic cooperation between the two countries, including a $4.2 billion loan, was expected to continue. The report noted that Mongolia was still negotiating with China for the $4.2 billion loan agreement. “The Dalai Lama’s visit to Mongolia will certainly hurt the interactive relation that China and Mongolia have built through the Belt and Road initiative,” Da Zhigang, director of the Institute of Northeast Asian studies at the Heilongjiang Academy of Social Sciences, was quoted as saying. However, he has explained, the bilateral cooperation between China and Mongolia would continue, including the loan and the construction of a China-Mongolia-Russia economic corridor, the first multilateral trade cooperation mechanism under the Belt and Road initiative. China has on two previous occasions – in 2006 and 2011 – imposed economic sanctions on Mongolia for having allowed a visit by the exiled spiritual leader of Tibet. However this time “China is unlikely to take economic sanctions as the country needs to maintain sound ties with Mongolia, which holds a good relationship with the US, North Korea and Japan, playing an important role in the Northeast Asia,” Da has added. Da’s remarks came as China’s official Xinhua news agency Nov 2 cited the country’s Foreign Ministry spokesman Geng Shuang as saying that regardless of his country’s repeated dissuasions, the Mongolian side had insisted on inviting the Dalai Lama for visit. 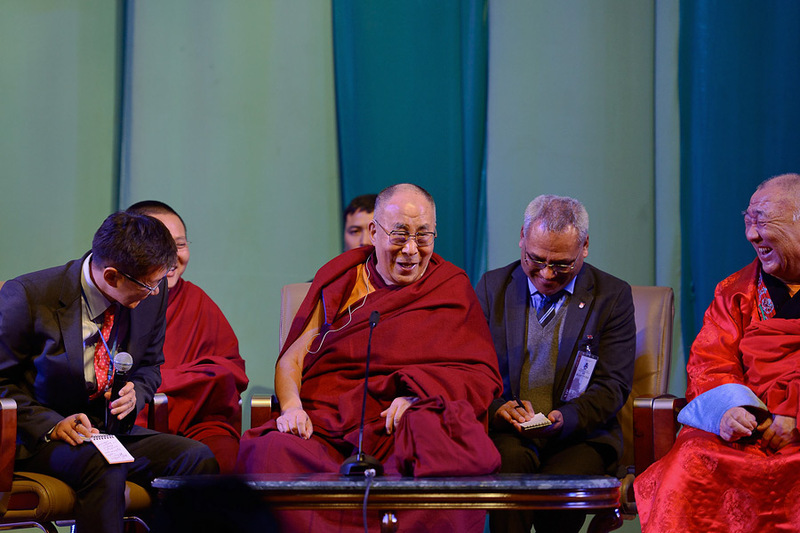 Geng was quoted as saying China had urged Mongolia to “recognize the separatist nature of the Dalai Lama clique, show respect to China’s core interests and major concern, and take effective measures to remove the negative impacts of the Dalai Lama’s visit, so as to avoid disturbing the sound development of China-Mongolia relations”.